Many years ago, when I began to guide/lead people into and through the wilderness, I quickly realised how wild places had deep spiritual and emotional impact on humans psych? 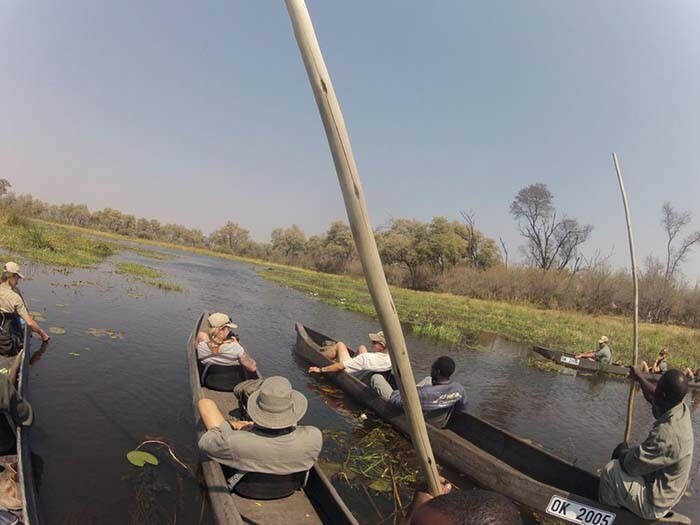 Even people who worked/lived in untouched wilderness areas for years before me, I watched how it affected them = some cried when leaving, most became refreshed, vitalised people, others especially hard working, stressed people would change from the day I met them to the day they departed from untouched nature. Some have changed their working lives, or have scheduled yearly getaways to nature. I understood then why conservation of natural areas was vital, not only via regulation, but also by experiencing nature, as untouched for the good of the soul. 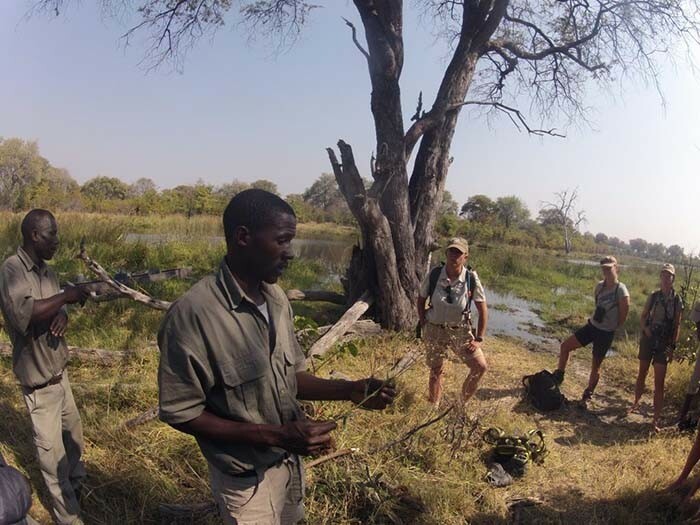 Join Nature Guide Training Botswana and we may help you connect to conservation and nature via enlightenment! Single Dome Tent, with fitted sheet, pillow and case – bring own sleeping bag. Bucket Showers and Bush Toilet. Consult your doctor for relevant vaccinations- yet in Botswana you do not require any. Visas are given on entry, yet some country citizens may require in advance = check based on Citizenship.